City businessman Hassan Basajjabalaba. Courtesy photo. A new Parliamentary report, released on Tuesday has recommended that government should pay city businessman Hassan Bassajjabala Shs85b for the loss he incurred after meat traders refused to vacate his abattoir, located along Old Port Bell Road in Kampala. In 2011, meat traders demonstrated over mistreatment by Bassajjabala administration and with the help of some city politicians, they took over the premises. Bassajjabala was forced to drag the meat traders and Lord Mayor Erias Lukwago to court for trespassing on his property. A court order was issued ordering them to vacate but the meat traders ignored the order. Bassajjabala had no option but to run to Parliament, to force Kampala Capital City Authority (KCCA) and the Police to forcefully evict the meat traders. KCCA leased the property to Bassajjabala in 2001. The matter was forwarded to the Parliamentary Presidential Affairs Committee, which among other things, handles city affairs. The committee in November last year started an inquiry into the matter, summoning all the parties, including Lukwago and the late Deputy IGP Felix Kaweesi, to answer allegations that they were collecting money from the abattoir. Yesterday as MPs were preparing to discuss whether to amend Article 102(b) of the Constitution, the issue was also put on the order paper. After a heated debate, most of the MPs backed the recommendation to pay Bassajjabala. However, Kiira Municipality legislator Ibrahim Ssemujju Nganda warned parliament against the move, saying the government was losing a lot of money through bogus deals. “Government paid a lot of money to the owner of USAFI market. Now, you have brought this report for us to rubber stamp this payment? 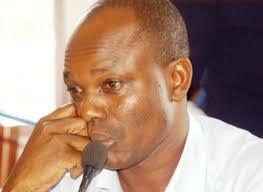 This is unfair to the taxpayer,”Semujju explained. MPs did not rule out on the matter, as the House was tense, taken over by the age limit issue. The delay might give Basajjabala a chance to lobby MPs, to rule in his favour. Meat traders have been praying that Basajjabala be paid, so that he leaves them to operate freely. They lobbied MPs sitting on the committee, to push for compensation. But the views which came from Parliament yesterday may change things. If Parliament blocks Bassajjabala to be paid, it means, he will have to re-own his property, since he still have a running contract with KCCA. “And we shall put pressure on the Police and KCCA to evict them,” an aide, who preferred not to be mentioned revealed. If Bassajjabala is paid, this is will not be the first for the government to pay him.